Moisturizers Pull Triple-Duty; They Hydrate, Soften, and Seal Everything In. So. You’ve cleansed, exfoliated (if it’s an exfoliating day), applied toner and essence, and put on your treatments. You’ve layered all this hydration into your skin, and your skin is looking dewy and feeling more plump and bouncy. You did good! Hold up, though. You’ve still got to moisturize. Moisturizers often have occlusives to help you seal in all your hydration. Hydrating is basically about giving skin the water it needs to be, well, hydrated. The thing about skin, though, is that it’s porous, meaning that, if the environment you’re in is super dry or if you’ve compromised your skin barrier, all that hydration you just layered in? All that is going to evaporate into the air, leaving your skin dry, possibly even drier than when you started all this layering and hydrating. That process is called transepidermal water loss, and moisturizers help prevent it. Moisturizers do introduce more hydration into your skin, but it’s important to note that moisturizers come last, after super-hydrating products like essences and serums and oils, because moisturizers contain these things called occlusives. Occlusives are ingredients that create a hydrophobic film on the surface of skin, which is a fancy way of saying that they create a seal by forming a thin layer of oil that prevents water from evaporating out of your skin. In other words, occlusives help prevent transepidermal water loss. It’s because occlusives create that seal that moisturizers come last. Think about it — if you create this barrier on the surface of your skin and apply hydrators after, that hydrating isn’t actually going to sink into your skin because the barrier is already in place. Apply your hydrators first, so they can sink into skin underneath that protective occlusive barrier created by your moisturizer. If you have oily skin, don’t worry. 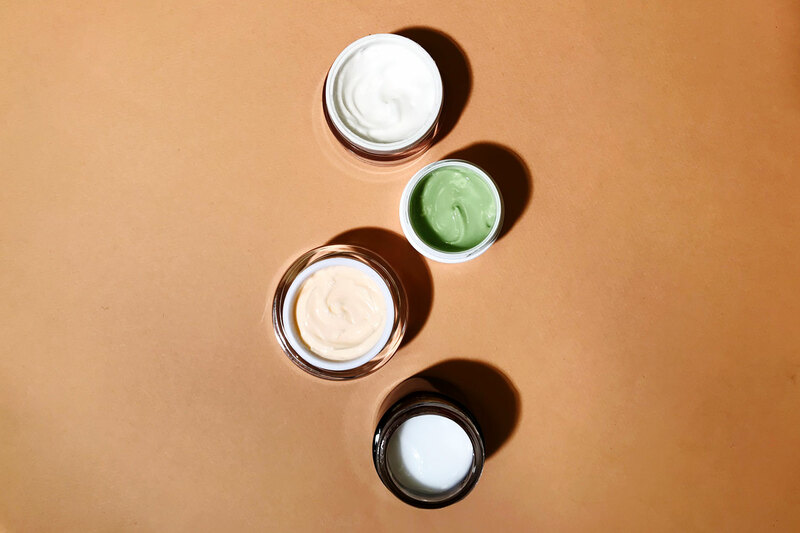 While many moisturizers do typically include occlusives to seal everything in, there are oil-free moisturizers that are particularly great for oily skin. Instead of using oil-based occlusives to add another layer of oil to act as a barrier, these oil-free moisturizers focus on humectants (more on those below!) to slow down this transepidermal water loss, by binding moisture to skin. While dry skin will need more support via lipids as occlusives, oil-free moisturizers can work wonders for oily skin. Moisturizers typically also contain emollients that help soften skin. Moisturizers help skin feel softened and conditioned, and that’s because of emollients, texturizing and conditioning ingredients that don’t necessarily bring moisture into skin but help soften and smooth skin. When skin is dry or dehydrated, it starts to crack or flake off or create really ashy patches, and that cracking, flaking, creating of ashy patches essentially create gaps between skin cells. Emollients are flexible, wax-like ingredients that sink into skin and close those gaps, bringing them together with fatty substances (aka lipids) which helps create a smooth layer of skin, reduce flaking and cracking, and give skin that desired, even softness. Not only that, but emollients also help prevent water loss by filling in these gaps between skin cells. The most popular emollients are aloe vera, shea butter, and plant-based oils like jojoba oil, sunflower seed oil, and squalane. Sometimes, emollients (like squalane) also have occlusive properties as secondary benefits. And, then, as if that weren’t enough, moisturizers usually also have humectants. Humectants are hydrators that draw moisture to the surface of skin. Often, many humectants will draw moisture from the deeper layers of skin (the dermis) and pull it to the surface (the epidermis), which helps skin look visibly plumper. Because moisturizers also contain humectants, they provide skin with hydration, though you’ve probably heard of or seen humectants in your various skincare products, with the two most well-known being glycerin and hyaluronic acid, loved for their abilities not only to pull water to skin but also to help boost skin’s ability to retain hydration. Hyaluronic acid, in particular, is incredible for its ability to bind moisture that’s a thousand times its own molecular weight. Humectants often come paired with occlusives to maximize their abilities because, as we discussed above, occlusives help seal hydration in, which means that all that hydration humectants pulled to the surface of skin will stay there. You might be wondering if oil-free moisturizers are less effective then, without occlusives to seal hydration in — even though oil-free moisturizers don’t contain oil-based occlusives, they typically feature powerful humectants that sink into skin to bind water at all levels, as well as emollients that fill in those gaps between skin cells and help prevent water loss. Moisturizers are also a great step to personalize, personalize, personalize! We say this a lot, and we really mean it. Everyone’s skin is different, and there’s no one-size-fits-all when it comes to skincare. Getting your moisturizer right can help save your skin from breakouts or visible signs of premature aging, so listen to your skin and give it what it needs. Like all other skincare products, moisturizers are developed with different needs in mind, using different amounts or types of humectants, emollients, and occlusives. 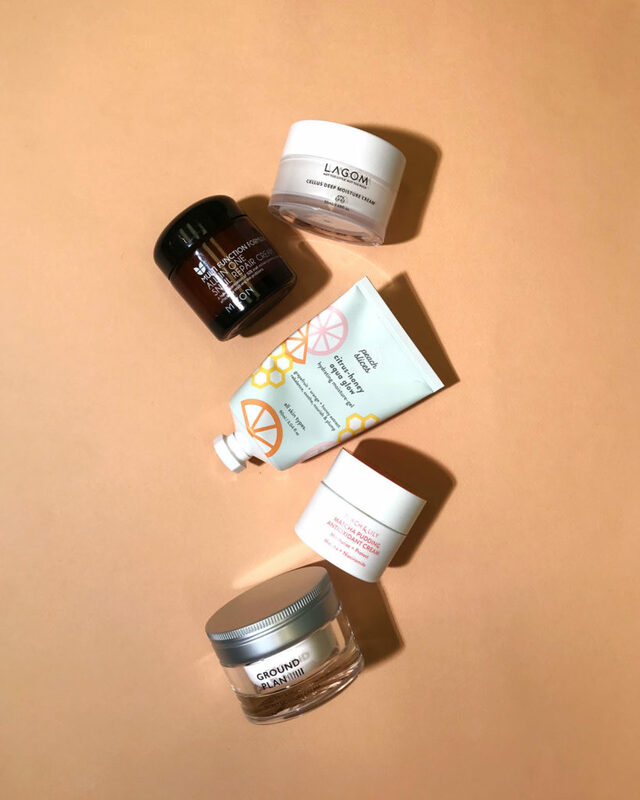 If you have dry or dehydrated skin, you might want a moisturizer that has a lot of humectants that can get deep into skin and pull moisture into all its layers, like Lagom’s Cellus Deep Moisture Cream. If you have rough, textured skin, you might look for a moisturizer with more emollients to “fill in the gaps” and help soften and condition skin to make it more even and smooth — we recommend a moisturizer like Ground Plan’s Day & Night Secret Moisture Cream. Oily or acne-prone skin could benefit from a moisturizer that has lighter occlusives that allow for some kind of permeability so your skin can breathe. You might, for example, want to avoid petrolatum and mineral oil, which create a tight blanket on the surface of skin, looking instead for lighter formulations that use, say, snail extract to hydrate skin and fight bacteria, like Mizon’s perennial best-seller, the All-in-One Snail Repair Cream. 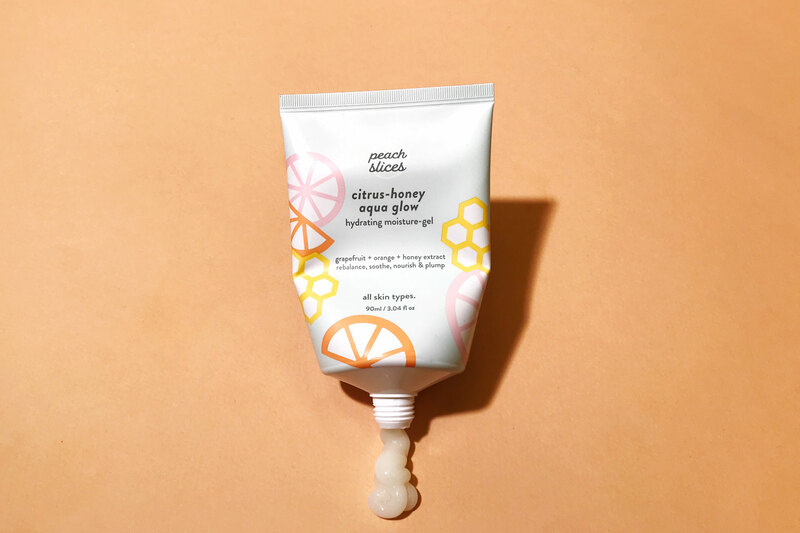 Moisturizers also vary by texture or finish — we recommend a lighter, gel texture for combination skin, like Peach Slices’ Citrus-Honey Aqua Glow. If you’re looking for an all-around moisturizer that leaves your skin feeling plump and bouncy but with a matte texture that doesn’t pill under makeup, we recommend a moisturizer with a pudding cream texture, like Peach & Lily’s Matcha Pudding Antioxidant Cream. Finally, we’ll leave you with one last pro tip: if you have super dry or dehydrated skin, spray a facial mist evenly over your face before applying your moisturizer. The occlusives in your moisturizer will seal all that hydration in, so it can truly, deeply sink into your skin. Have any other questions? Leave them in the comments below!